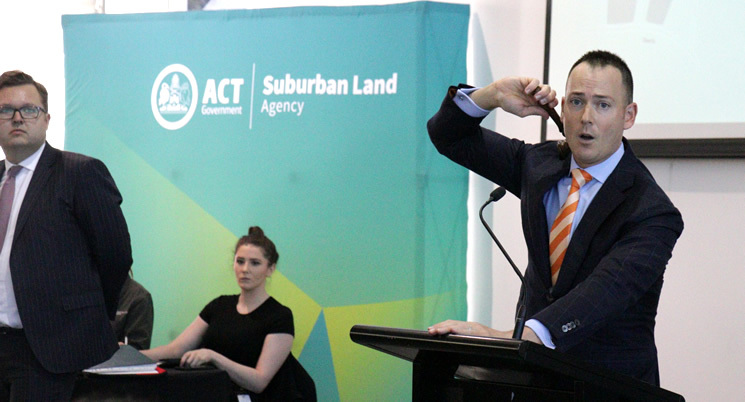 The 22 registered bidders clearly illustrated continued strong interest for quality development opportunities in the ACT’s property market, with buyers hotly contesting each block on offer. Of particular interest was Block 24 Section 39 at Griffith which enticed multiple bidders, with the winner eventually paying $40 million. The price was the largest sale of a single block of land by the ACT Government since 2016. The Griffith site has been described as a gem of the Inner South, within eyeshot of Manuka Oval and close to schools, Manuka Town Centre, Lake Burley Griffin and the Parliamentary Triangle. A sixth site at Lyons was passed in, however agents were confident of negotiating a sale on the block within the coming days. The auction of these sites marks another milestone in the ACT Government’s urban renewal program, driven by the vision for a re-invigorated Canberra. The sites in Griffith, Narrabundah and Lyons provide exceptional opportunities for innovative town-house and low-rise residential development.